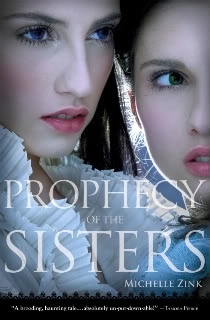 Home › Prophecy of the Sisters › Prophecy of the Sisters Ebook $2.99! Prophecy of the Sisters Ebook $2.99! Just a heads up for those of you haven’t yet read the Prophecy of the Sisters Trilogy that the first book is currently on sale at Amazon for $2.99! This is a great opportunity to give the series a try, tell (or gift it to) a friend with an ereader, or to add it to your digital library. And I’ll have some very exciting Prophecy news for you within the next couple of days! I just bought circle of fire on ebook 🙂 I like to have both. This is a great deal! Thanks so much for your support, Missy! I like to have both, too. That way if I’m reading the physical copy at home and have to go somewhere, I can pick it up with the ebook. Kenneth think publishers should start providing codes for the digital version when you purchase a hardcover. I think it’s a great idea.